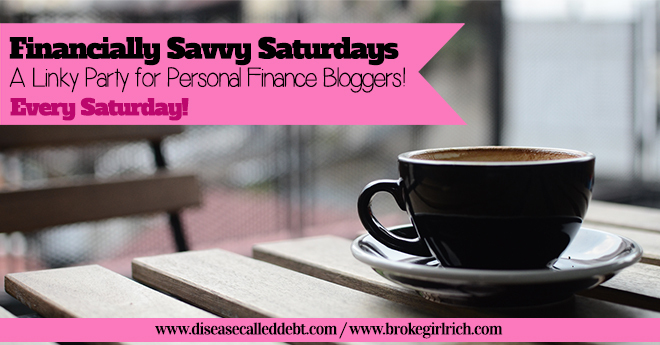 Welcome to Financially Savvy Saturdays, a link up created just for personal finance bloggers! We want to read anything to do with personal finance here. Whether you’ve written anything from how you’ve just said goodbye to your student loan debt to how you’re reducing the cost of your coffee habit, you’re invited to link-up. If it ties in to personal finance, we want to read it! This weekend, we’re excited to welcome Michelle as our visiting co-host from Lively Chicken, where she writes about living a healthy lifestyle and staying on top of her personal finances – as well as regular snippets about her beloved cat, Arthur. Tweet about it. You can use #finsavsat when tweeting about the party! Concerns about SEO? Recently many bloggers have decided to stop participating in events such as blog carnivals. If you’re worried about how participating in this link-up could effect your SEO, we’d encourage you to check out this article. Interested in co-hosting? We’d love to hear from you! 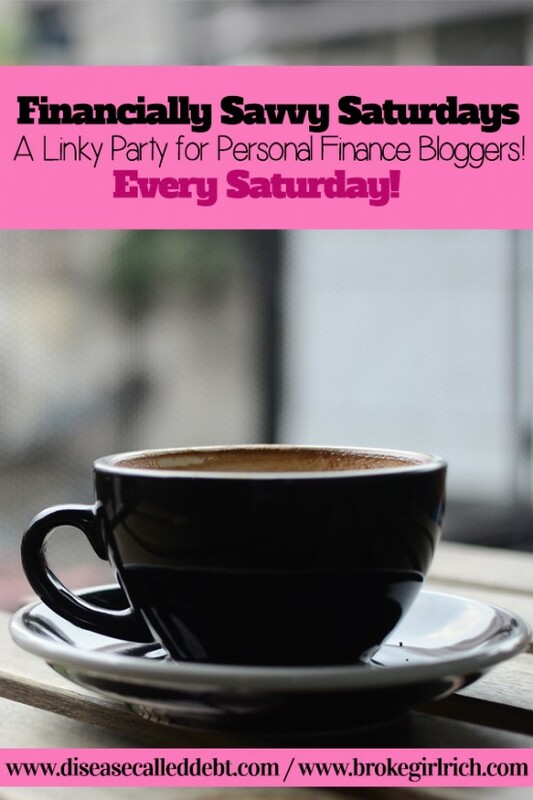 Being a Financially Savvy Saturday’s co-host could help you increase your blog traffic and engagement! Plus, it’s fun AND easy. Want to find out more? Get in touch with us via brokeGIRLrich(at)gmail(dot)com or info(at)diseasecalleddebt(dot)com with any questions. Or if you’re ready to take the plunge, you can sign up on this Google doc. If you’ve co-hosted before and enjoyed it, please consider doing it again! *Click here to read this inspiring post! If you submit a post, you could be featured in next week’s link up! We do have a few rules for participation. Those who don’t follow the rules will have their link taken down and won’t have the chance to be featured. 1. Your post must be written in the past seven days, related to personal finance and not be solely a giveaway. 2. Be sure to include a link to one of your hosts by copying and pasting the html in one of the boxes below into your linked up post. You have the option of the button or a text link. 3. Follow your hosts. You can follow brokeGIRLrich on Google+, Facebook, Twitter, Pinterest, OR by subscribing to her RSS feed and Disease Called Debt on Google+, Facebook, Twitter, Pinterest, OR by subscribing to her RSS feed. Also, you can follow Lively Chicken on Twitter, Facebook, Instagram or Pinterest. 4. Comment on at least one post before and after you that have joined the party.